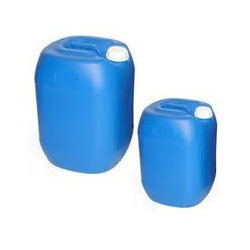 Prominent & Leading Manufacturer from Bengaluru, we offer liquor ammonia. We are a trusted name in the industry for supplying and trading Liquor Ammonia for a wide clientele. The offered chemical is procured from a reliable vendor base for ensuring the desired quality standards. It is used in fertilizers for meeting the nitrogen requirements of plants, added to cleaners for effective removal of stains and used as an antimicrobial for storage of food products. Looking for Liquor Ammonia ?